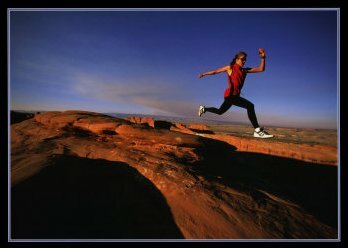 JW Massage Therapy is an advanced massage therapy clinic specializing in Orthopedic and Sports Rehabilitation Massage. Each session is specialized to the client's needs, ranging from Deep Tissue and Sports Massage to Gentle Relaxation Massage. Clients from all over the DC Metro area come to experience the unique techniques of this massage clinic. Amateur athletes as well as DC United soccer and Redskins football players have been beneficially treated by the owner Jodi Weier Miller. 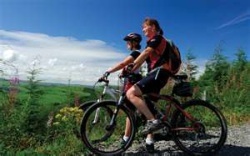 We look forward to working with you and helping you to feel your best, so you can continue all the activities you enjoy. Please call to make an appointment or if you have any questions. Orthopedic Massage is an approach to chronic pain that is a non-invasive alternative to drugs or surgery. It is effective for the treatment of frozen shoulder, a bad back, sciatica, and other persistent, painful problems or muscular injuries. Using proven practices, we can help release affected muscles, which will increase blood flow and facilitate healing. Sports Massage maintains the body in its best athletic condition for the life of your sporting career, helping to prevent injury and loss of mobility, or to restore mobility after an injury. It is excellent for reducing back pain and increase general relaxation, and some even claim sports massage can boost performance. 24-hour notice is required to cancel an appointment to avoid a $90 fee. Our "Standard Session" incorporates any of the following techniques: Swedish Massage, Deep Tissue, Trigger Point Therapy, Sports Massage and Orthopedic Massage. We will customize your treatment based on what your body needs. Save money by planning ahead! All packages can be used for 30, 60 or 90 minute sessions and may be shared with friends and family. To say "Thank you!" to our military, police officers, and firefighters, we offer a special discount. Please inquire when you call to make an appointment. At age 65 you qualify for a discount off classic massage sessions. As always, these can be customized to fit your needs, according to your activity level. Jodi Weier Miller is a Nationally Certified Massage Therapist with a Bachelors of Science degree in Nursing. 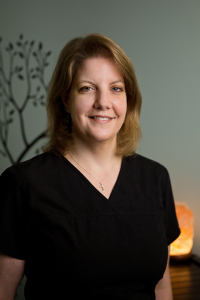 With over 15 years experience in the field, Jodi is certified in Orthopedic Massage, Myoskeletal Alignment Technique, and specializes in Chronic Pain Management for sports injuries, and Active Isolated Stretching Technique. Over the years, Jodi has had the pleasure of working with professional athletes from the US National Soccer Team and other professional US soccer and football teams. Nowadays, Jodi's focus is on amateur athletes and those suffering from acute or chronic pain. With a strong knowledge of anatomy, physiology, and kinesiology, and her focus on sports massage, Jodi can help the sports enthusiast with competition and training recovery, as well as injury rehabilitation. For orthopedic clients, Jodi works on a wide range of medical cases, including rehabilitation for frozen shoulders, hip and knee replacements, back and other orthopedic surgeries, and muscle tightness as a result of whiplash, stress, and TMJ tension. Jodi's clients have said that she has an intuitive sense of what is going on with their bodies and can target the specific areas that need the most attention. Every person that Jodi works on gets the professional quality of her expertise and will definitely feel the positive effects of her unique massage style. How does sports massage differ from other types of massage? The basic techniques in sports massage are the same as in any other form of therapeutic massage. In sports massage the therapist may apply firmer and deeper pressure than a general massage therapist. The sports massage therapist may also make more use of frictioning techniques, which involves applying deep pressure to tissues repeatedly to break down adhesions (sticky bits on tendons) and soften scar tissue. Some sports massage techniques are designed to reduce an injury back to its acute stage in order to trigger the body's natural healing response. Some forms of massage are very superficial. A superficial massage can be very relaxing, particularly when applied with aromatherapy oils. A sports massage needs to be applied deeper to manipulate muscle tissue more effectively. This can induce a deeper relaxation although some techniques may border on the uncomfortable. However, the important point is that massage should not be so painful that it causes the patient to tighten up or tense with pain. At this time massage therapy is not covered by general health insurance unless it is billed through a chiropractor or doctor as a form of treatment. However, it is covered by most medical flex spending accounts or health savings accounts. These are the basic steps you need to follow. Ask your therapist if you have any other questions regarding this or check your FSA/HSA policy. Get a prescription. You can obtain it from any health care practitioner authorized to write a prescription. Find a licensed massage therapist for your appointment. In order for the expense to be covered, it must be performed by a licensed massage therapist. If you aren't sure about licensure, ask the therapist. Request a "medical receipt". Explain to the therapist that you need a receipt for your FSA/HSA. The receipt should contain the information needed to get the expense approved.